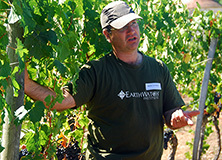 Earthwatch and Syngenta worked in partnership from 2005 until 2014 to promote understanding of ways in which biodiversity can be conserved within agricultural landscapes. The aim was to generate new perspectives and insights on sustainable agriculture and to explore Syngenta’s role as a key player in global agriculture and the contribution Syngenta staff could personally make to society. 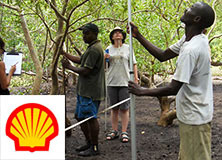 Syngenta supported Earthwatch capacity to increase understanding of sustainable agriculture issues and to engage with business, agriculture, and conservation stakeholders. The partnership started by developing two research projects – Wildlife Enhancement on a Working Farm (Upton Estate, England) and Wine and Wildlife in Bordeaux (France)––to explore ways in which farmers could integrate wildlife conservation into productive agricultural landscapes. The projects proved valuable for a wide range of participants, including teachers, young people, and volunteers in the public program. 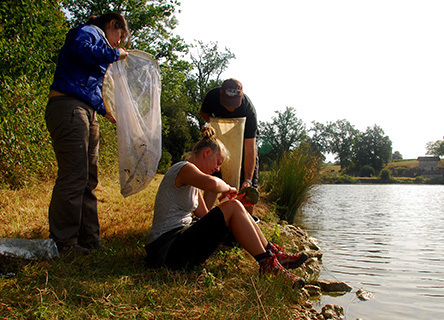 Between 2005 and 2010, 98 Syngenta employees and stakeholders participated in research and experiential learning programs at Upton Estate and Château les Vergnes, Bordeaux. The purpose of the programs was to contribute to change within Syngenta by engaging and inspiring confident ambassadors who understand the significance of the role they can play in providing solutions to sustainable agriculture issues. 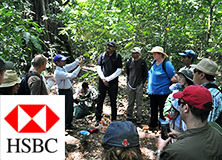 The program was highly valued by participants. Since 2011, Earthwatch India and Syngenta India worked together on a program that provided professional and personal development and experiential learning opportunities to enable employees to become environmental leaders, supporting the company’s sustainability initiatives. 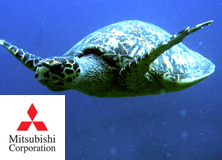 Meanwhile, Syngenta continued to support Earthwatch’s capacity to raise understanding of sustainable agriculture issues and to engage with business, agriculture, and conservation stakeholders. Syngenta also continued to support the research in Bordeaux, where Principal Investigator Maarten van Helden and his team actively shared practical outcomes of the research with viticulture stakeholders in France and across Europe. 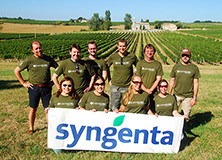 Syngenta employees and stakeholders participated in research and experiential learning programs at Upton Estate and Château les Vergnes, Bordeaux.